Often confused with morels, the Bohemia Verpa is different due to its cylindrical-conical hat, loose like the Verpa but folded like the morels. 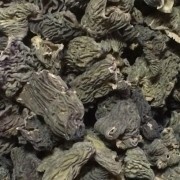 – Dried Bohemia Verpa : can be preserved for years, they taste a lot like morels, but are less costly. In order to prepare them, soak them for 30 minutes in lukewarm water. Once drained, re-hydrated Bohemia Verpa can be added to meat dishes or omelets. 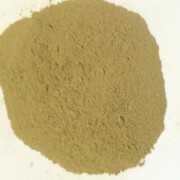 – Powdered or mealed Bohemia Verpa : these are usually used in the cooking to bring a woody flavor in sauces and white meat dishes.